"Tonight - we're taking 'game night' up a notch." Get your 12-sided dice ready. 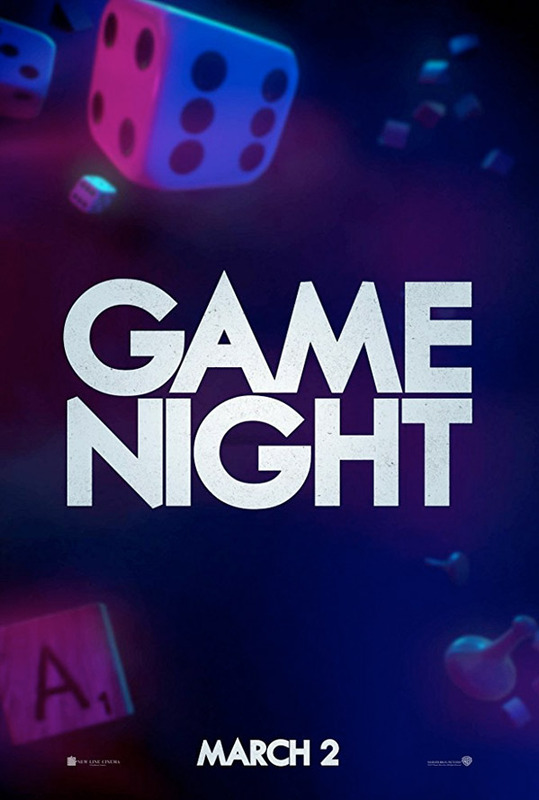 Warner Bros has debuted the first teaser trailer for a comedy titled Game Night, opening in theaters in March of next year. This comedy puts a spin on the popular "game night" concept and turns it into a crazy horror thriller. When a group of friends who meet regularly for game nights discover that the murder mystery game they're playing this time is actually for real, everyone freaks out but figures out the only way to win is to keep playing. Jason Bateman and Rachel McAdams star along with Billy Magnussen, Sharon Horgan, Lamorne Morris, Kylie Bunbury, Jesse Plemons, Danny Huston, with Michael C. Hall and Kyle Chandler. This looks absurd and totally fun, which might be what we all need right now. The plane at the end - what? !